The Tony Holmes Open Meet is Nottingham Leander’s annual open meet, named in the memory of our inspirational former head coach/driving force. Taking place annually in July, it’s a Level 3 Open Meet focusing on the sprint events across all strokes and is open to swimmers over the ages of nine-years-old. The six fastest swimmers in each race / age group compete in finals to decide the overall winner; all finalists receive a trophy. The fastest six swimmers in the 100M IM (male and female respectively) also qualify for the ‘Skins’ racing event – a knockout series of races over 50M with the stroke being decided just before each round. 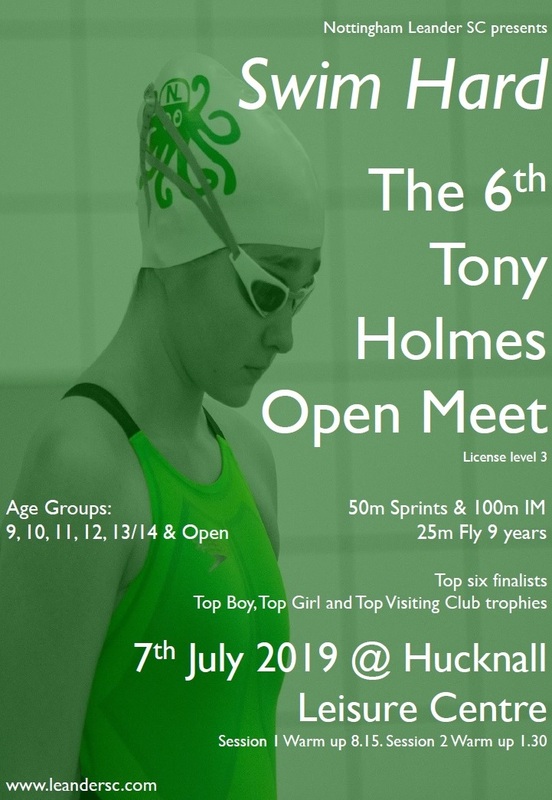 The Tony Holmes Open Meet is a celebration of swimming and a fitting tribute to the man who more than most made Nottingham Leander the club that is it today.